Artists of Hill House is a bi-weekly podcast featuring discussions with the recipients of the Crosshatch Center for Art & Ecology's Artist Residency Program. Artists of Hill House is a bi-weekly podcast featuring discussions with the recipients of the Crosshatch Center for Art & Ecology's Artist Residency Program. The podcast will present interviews with current and past resident artists, and highlight some of their work. The podcast will also provide news and updates on the alumni, previews of their new works and information on the artists' upcoming events. Emily is the 2017-18 Senior Fellow in Poetry at Washington University in St. Louis, where she teaches undergraduate creative writing and works remotely as an editorial assistant for Poetry Northwest. She has received fellowships from the Stadler Center for Poetry at Bucknell University, and she has also won Avery Hopwood Awards in multiple genres. Emily's poem, Hotspring, is in the current issue of Tupelo Quarterly, and other work is forthcoming elsewhere. The interview with Michael Longley that Emily discusses is a production of On Being, and can be heard at: The Vitality of Ordinary Things. Jennifer is an songwriter, harpist and singer who has just released her new album, Hermitess. Jennifer is also a visual artist and curator, who has a deep commitment to working collaboratively to improve our collective fates. Jennifer has been a staple in the Calgary Indie Music scene, playing in Deadhorse, The Constant C and Devonian Gardens. 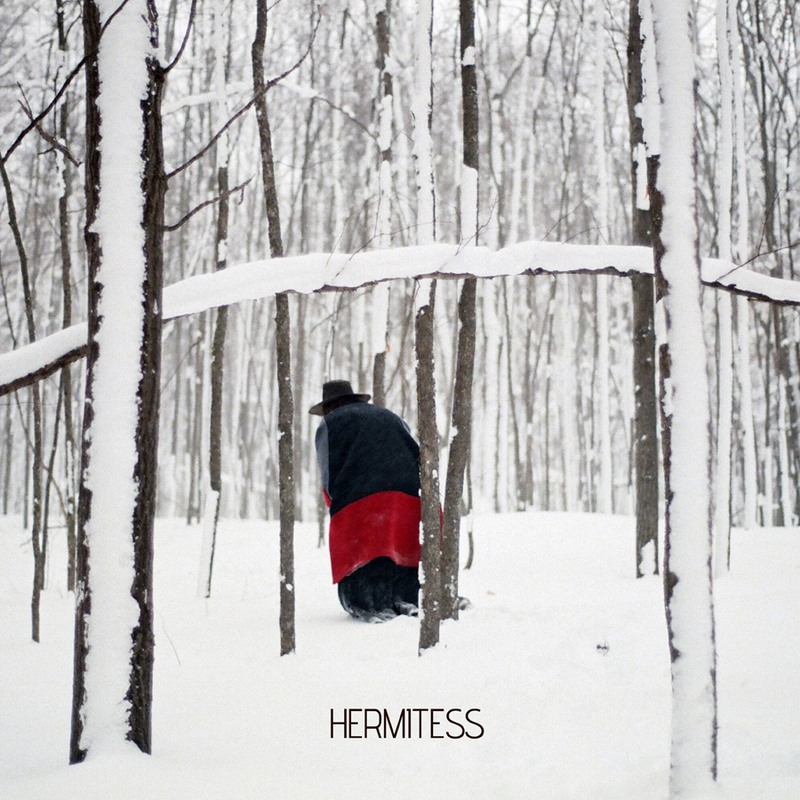 Hermitess, which she wrote while in residency at Hill House in the winter of 2015, is her first solo release. Visit hermitess.band to check out the video for her song, Blood Moon, and to explore other great content, including photos and info on her upcoming live shows. You can purchase Hermitess on vinyl, cassette and as a digital download at hermitess.bandcamp.com. I forgot to request a photo from Erik, so I stole this from his website. Episodes 3 & 4 conclude with a preview of a new track written by Erik Jarvis at Hill House. Erik is a songwriter, singer and multi-instrumentalist, who’s new EP, Ancient Future, will be released in the coming weeks. I will be talking with Erik in episode 5, which airs on June 23rd. Erik plays all of the instruments on this track, which is called Crew. For more information on Erik and his other fantastic solo and collaborative projects, please visit erik-jarvis.com. Kay Belardinelli is a writer, photographer and the front person for the band, MAR. MAR's new album, Fill Your Lungs, was just released this week and is available for download and on cassette at bandcamp. Information on MAR's upcoming tour and Kay's other performances is available at kaybelardinelli.com. While you're there, be sure to check out her photography and other works. Based in Brooklyn, NY, Ellia and Jeff have been performing together since 2012. Both of them also lead much larger, critically acclaimed bands: Elliaâ€™s is called Sweet Soubrette, and Jeffâ€™s is called Kotorino. Charming Disaster describe themselves as having a comically dark sensibility, and "write songs that tell stories, exploring themes like love, death, crime, ancient mythology, and the paranormal." Ellia & Jeff have a second interview in this series airing on 7 July, 2017. Episodes 1 & 2 conclude with a preview of Animal Heart, the opening track on Jennifer Crighton's new album, Hermitess, which is being released 12 May, 2017. Jennifer will be a featured artist in episode 3, which will be released on 9 June, 2017. For more information, please visit hermitess.band.